This is a real shirt. You can buy it for $19.99. So if it wasn’t bad enough that DC is attempting to introduce the stupid Superman/Wonder Woman romance to a wider audience, they’re doing so in this gross, bro-centric fashion. 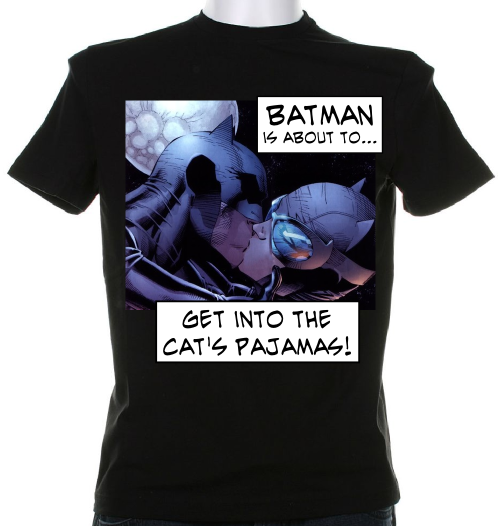 Both DC Comics and whoever they licensed to make shirts for them need to have their heads examined, because this is awful. And, sadly, not terribly out of place. DC has licensed shirts for girls with the Superman logo and the line, “I only date heroes”, while a line of workout gear for women includes a shirt that reads, “Training to be Batman’s wife.” It seems that women can’t be superheroes themselves, but maybe they’ll be lucky and some day kiss, date, or even marry a superhero. These shirts all have terrible messages, and I’m particularly incensed about the diminishment of Wonder Woman in the kiss shirt above. By turning her into Superman’s “score” they make her only a sexual object, and negate all of her superheroism and power. 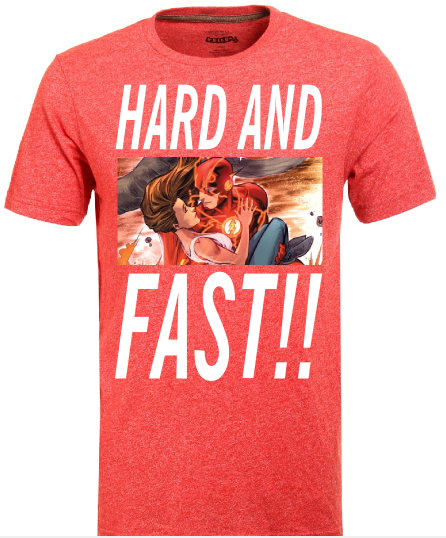 However, DC Comics seems poised to double down on their horrendous Superman/Wonder Woman shirts with some new designs that should debut shortly. 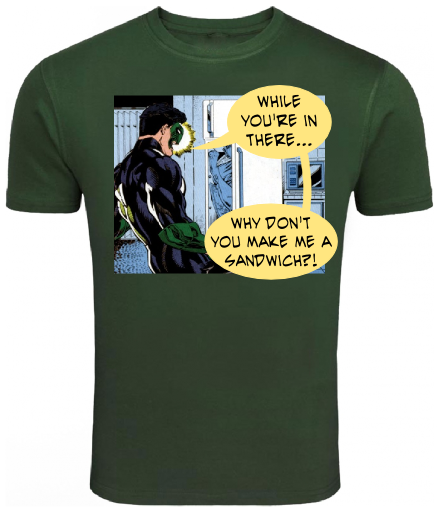 These are definitely 100% real shirts and not something I whipped up this afternoon in my favourite knock off Photoshop program to make fun of DC Comics and their penchant for sexist products. I would never, ever do that. 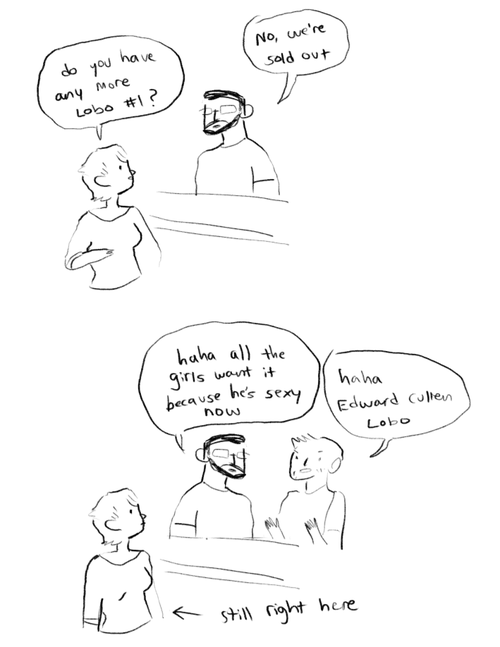 I am far too respectful. I hope you all enjoyed this sneak peak at these shirts that aim to continue the message of DC Comics’ hit new Superman/Wonder Woman shirt. They’re certainly in line with products that DC is currently selling in stores right now, and isn’t that just the saddest thing.